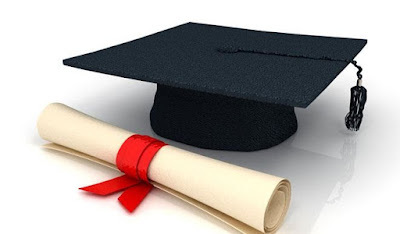 The Daily Trust newspaper has published an interesting feature story (May 15), on the sudden surge in the number of First Class degrees being churned out by Nigerian universities. Daily Trust reports that its investigation reveals that in the last five years, 16 Nigerian universities have produced a total of 3, 499 first class graduates. Between 2011 and 2016, 12 of these universities produced 2, 822 First Class graduates, and it seems this First Class galore is a growing fashion particularly among the private universities. This trend should ordinarily be a good thing: if Nigeria can manage to produce more First Class intellects, this should reflect on the long run on the country’s business, social, economic and cultural life. We would have more Ph.Ds hopefully, and so produce more qualified, research academics, especially now that close to 60% of Nigerian university lecturers do not have a Ph.D. The more brilliant persons a country’s education system is able to produce, the better, such persons can indeed make a significant difference and drive the leadership process on all fronts. The only problem is that this growing trend needs to be interrogated. Previously, a First Class degree, the equivalent of a Distinction, was something quite rare, awarded by Departments after very careful consideration. I am not too sure that the entire Faculty of Arts of the University of Ibadan would have awarded up to 3,000 First Class degrees in the entire history of that Faculty. University departments talked about a First Class as if it was a comet. When students got a 2:1, they were the real lords of the Department, and even then a 2:1 was never given out in bus-loads. I recall the story of a former colleague at the University of Calabar who was denied a First Class in those days, because he slapped a young lecturer, who had just been recruited and who did not know that this particular student was the star of the department and his Faculty. It was our final exam. He was summoned to appear before a disciplinary panel and told matter-of-factly that university degrees were awarded on the basis of character and learning. Check: it was always character before learning. He made the First Class grade, but they gave him a 2:1. He was later appointed a Graduate Assistant though. He was also recommended for a Commonwealth Scholarship and sent to Cambridge for graduate studies. He would later prove to be a true First Class Brain. It was also the practice in those days for lecturers to remind brilliant students of the achievements of those who had obtained First Class degrees. Because they were not too many, a First Class graduate served for many years as a role model for succeeding generations. It was also the case that there were more First Class graduates in the Sciences, Engineering and the Applied Sciences. The Humanities produced fewer First Class graduates. Some of our lecturers used to ask: “What do you want to write that will earn you a First Class? You must be really exceptional to know all the answers in literature, history or philosophy?” Those were the days when a Professor would start a class and frighten you with the information that the last student who scored an A grade in the course was a certain Professor so and so who ‘sat in this same class 30 years ago!’ If you must get an A, you’d have to prove to me that you are smarter than him”. University authorities created such big myths around a First Class degree that many students just didn’t want to kill themselves trying to get one, only to be disappointed at the end of the day. The students who tried were not necessarily popular. They were labeled “Triangular Students”, “Bookworm”, “Effiko”, or “Akukwo”. Students in the 2:1 category felt more relaxed, many of them could even be as good as the First Class students, but just didn’t bother to apply themselves hard enough. The 2:2 students were easily the most popular. They would proudly tell you “they wanted to pass through the university and also allow the university to pass through them.” Maybe they were right. In later life, many 2:2 graduates still ended up with Ph.Ds and even became Professors, or captains of industry. We also had those students in the Third Class and Pass categories: we referred to them jokingly as the “let my people go, no-future-ambition crowd”. If you ended up with a First Class, your colleagues congratulated and admired you, but they didn’t feel like they had failed in any way. The Nigerian education system in those days was so good every graduate left the campus confident that he or she had been well-equipped. First Class graduates by the way did not enjoy any special privileges. There were employment opportunities in the country. Companies came to the schools and the youth corps camps to recruit prospective staff, and many “let my people go” graduates also got jobs and opportunities as soon as they graduated! So much has changed. It looks like there is now a greater emphasis on people getting better paper grades, and with the way our universities are churning out the First Class grades, very soon, there will be a First Class graduate on every street corner. One justification given for this is that the population of students in Nigerian universities and the number of courses, have increased. With 153 universities, we should logically, so the argument goes, expect more First Class graduates. It is also possible that university students in Nigeria today are smarter than the ones before them. Except that the quality of their grades is at variance with the quality of their skills or the environment that is producing them. No one will argue that the quality of our universities, both private and public, is poor, for instance. Where are the outstanding scholars in our universities who are breeding First Class graduates? Where are the First Class universities churning out high grades? Within the same period that Nigerian universities produced more than 3, 000 First Class graduates, only one Nigerian university –the University of Ibadan- was ranked among the world’s top 800 universities, number 601 as at September 2015. In the older Nigerian system that I described, Nigerian universities boasted of world-class intellectuals, with some of them ranking among the very best in their fields. There were top research libraries and laboratories in our universities and the environment was conducive for intellectual pursuit. Obafemi Awolowo University, known then as the University of Ife, was considered the most beautiful campus in Africa! Tourists visited our universities to visit either the zoos or take pictures. The animals in the zoos have been sold or eaten, the libraries are old, with a few now digitalized, the laboratories are either non-existent or they lack equipment. The university authorities complain of poor funding; the lecturers do not always get their salaries and research grants. The idea of the university is in trouble. These days, Nigerian academics become Professors with “scholarly, research essays” published in departmental journals or in journals published by their friends in other departments and printed in Somolu or Dubai. There are Professors who have never published an article in a leading international journal or conducted any significant research. A National Universities Commission official quoted by the Daily Trust tried to justify the First Class galore in Nigerian universities by saying NUC is not aware of anybody buying First Class degrees and that “our system is one of the best.” I hope that is not the mind-set of the NUC. Could it be that the examinations have become too easy or that the teachers have become less rigorous in setting standards? It is sad to hear for example, that students in the Humanities, and Management and Social Sciences in some universities now sit only for multiple-choice examinations at the end of the semester, because they are so many and the lecturers can’t mark exam papers? Our education system is far behind the rest of the world. Are we dealing with a problem of grade inflation? Any degree at all, is useless without the skills and competence to justify it. Private universities in Nigeria are reportedly more notorious for giving out high grades as a marketing strategy to attract rich parents to patronize them. A First Class or 2:1 degree may get you a job, and provide you an advantage in the face of the unemployment crisis in the country, but what will keep you on the job is something far more than the paper you hold: talent, skills, competence, creativity, people and communication skills and the ability to work with a team to achieve results. Many employers of labour in Nigeria, have had to retrain new recruits because they are often confronted with graduates with good grades, who can neither write nor think, or who may have learnt whatever they know through simulation or alternative methods. This is the real, worrisome trend, and it only gets worse: the evidence can be seen, increasingly, in the low quality of public debate, the public and private sectors and our cultural life. Many professional associations try to raise the bar by setting rigorous standards for membership qualification, but of what use is a university system that may have adopted the tactics of GSM companies, offering bonus top ups, to gain market share? 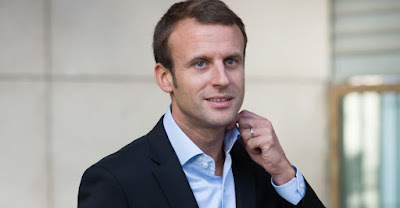 Emmanuel Macron, the 39-year old who was sworn in on Sunday, May 14 as the new President of France has become a reference model for persons who would also like to see young Nigerians occupy high positions of responsibility, including the Presidency. There is a Not-Too-Young-To-Run-Campaign already being promoted, with plans to seek relevant constitutional amendments. The Macron Miracle may still take a long time to come in Nigeria’s democracy. A young Nigerian seeking to be President of Nigeria, under circumstances similar to Macron’s would find it difficult. They don’t have a sit-tight syndrome in France. President Francois Hollande who handed over power to Macron had only done one term in office, and was eligible to run for a second term. But seeing that his ratings were low, he just didn’t bother. In Nigeria, Hollande’s supporters, ethnic, political and religious, would have threatened to kill anyone that stood in his way. Hollande himself would have insisted that it is his right to have a second term by every means possible. Macron would have been accused of trying to bite the fingers that fed him. He would have been told to go and sit down and that he knows nothing about politics. Five years ago, Macron was unknown. He got his first major job in 2012, and was appointed in 2014 as Minister of the Economy, Industry and Digital Affairs, both by President Hollande. He has never run for any elective office. To become President he had to start his own movement, “En Marche!” He doesn’t belong to any of the existing political groups, right or left. In Nigeria, even if he is the best thing since toothpaste, he would need Godfathers, and he would need to spend money, to bribe voters and the “kingmakers”. Macron is President of France, the youngest since Napoleon, on the strength of sheer luck, ideas, vision and the people’s choice. In Nigeria, the voter would have placed little premium on his ideas. He is married to his former drama teacher. She is 64. He is 39. Her first son is Macron’s age-mate. She is now the First Lady of France. The French public is laughing at the cradle-snatching incongruity of their professed love. Nigerians would have laughed even more, but this would probably not have been an issue for some Nigerians if Macron was 70 and his wife, 17. When Macron holds his first France-Africa summit, he will be hosting African leaders who would be mostly of his grandfather’s age. Cameroon’s 84-year old President, Paul Biya, became President in 1982, when Emmanuel Macron was just 4 years old. That is where the real joke lies. Immediately after he was sworn in, Macron visited wounded soldiers at a military hospital. Yesterday, he travelled to Berlin for a meeting with Chancellor Angela Merkel. He hit the ground running and named Edouard Philippe, 46, his Prime Minister. To have the kind of change we admire in other democracies, we must begin with a reform of the processes, culture and tone of Nigerian politics.